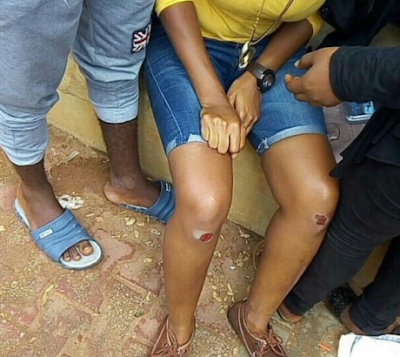 State University student reportedly fainted after she was flogged by a lecturer. 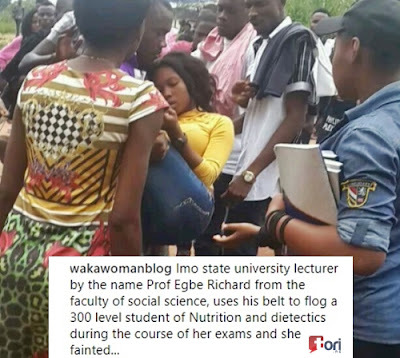 Multiple reports had disclosed that the lecturer named Prof Egbe Richard from the Faculty of Social Science allegedly used his belt to flog the student of Nutrition and Dietectics who came for her exams this morning. 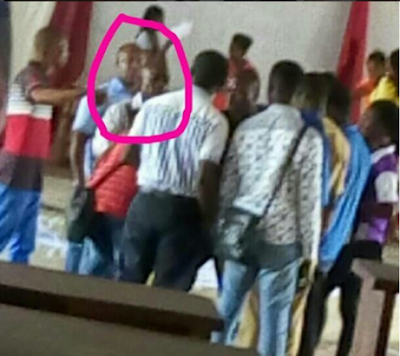 The lecturer should just laid off and denied flutter jobs everywhere.